A modern, sports style materialised in a perfectly proportioned case. Graphic lines, a tachymeter to measure speed, the instant legibility of white numerals against all-over black, with accents in red or orange aluminium for a splash of colour. 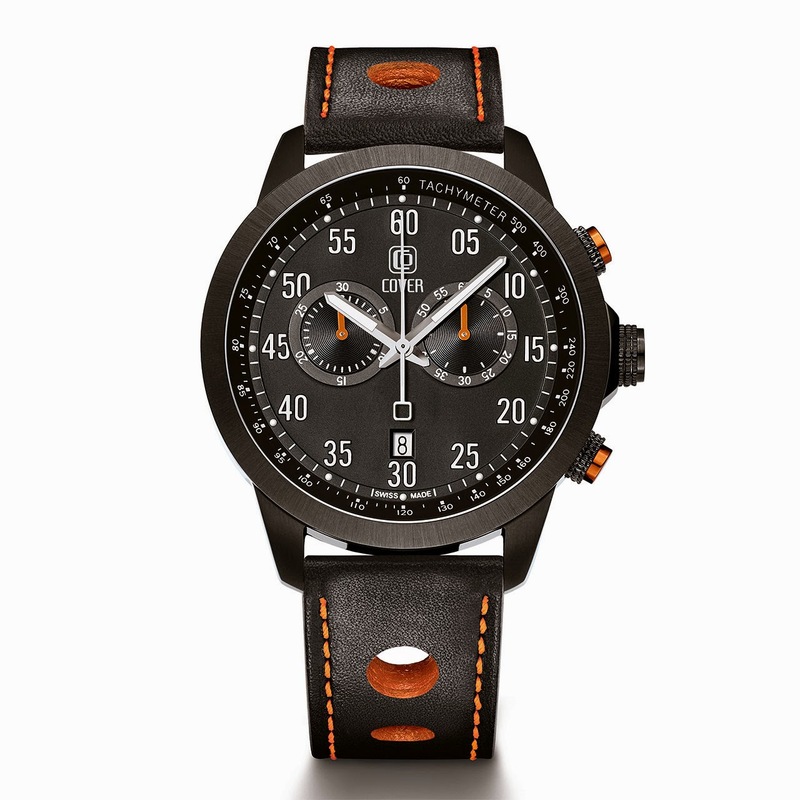 Masculine through and through, this new chronograph is made to measure for life in the fast lane.